A highly concentrated serum specially formulated to rejuvenate and moisturise very dry and damaged skin, perfect for air travellers and for keeping skin extra hydrated all day long. The 100% pure Bulgarian rosehip oil contains tretinoin, naturally rich in essential fatty acids, high levels of vitamin C, retinol (vitamin A) and other vital minerals, which help keep skin super moisturised and soft. Its powerful regenerative bioactive component also smoothes fine lines, prevents premature ageing, balances skin tone and brings a natural glow to the skin. Rosewater offers extra nourishment while hyaluronic acid and jojoba oil with its potent hydrating properties helps skin absorb and retain moisture levels more efficiently. Promotes skin/blood microcirculation and nutrient absorption, making skin smoother and softer. 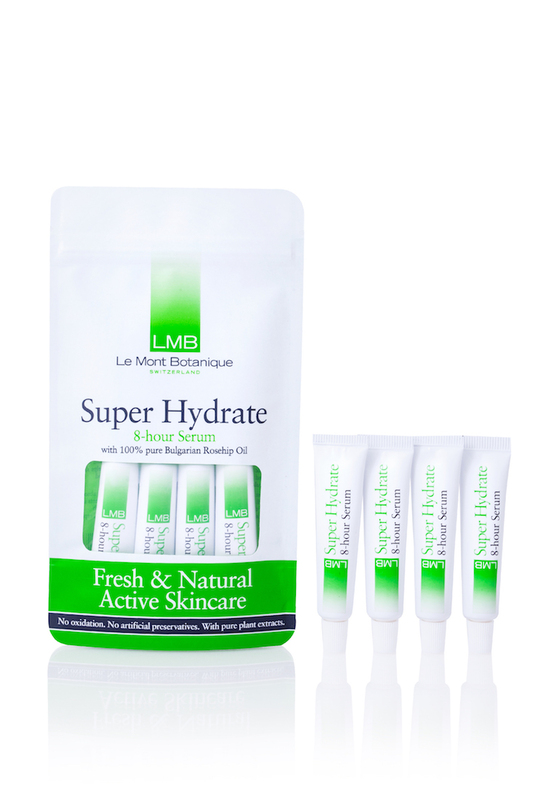 Use in conjunction with LMB's Active Cleanser and Eye Contour Serum for optimal results. Bulgarian Rosehip Oil, Rosewater, Hyaluronic Acid, Jojoba Oil. After cleansing, apply to the face and neck, leave until fully absorbed. Shake well before each use. Twist cap off tube and squeeze serum into the palm, then gently apply to the face especially on very dry areas. This product is fresh, each 6.25ml tube should be used within 7 days, or refrigerate to keep for up to 14 days.